The Department of Justice inspector general says he has recovered missing text messages from two senior FBI officials who investigated both Hillary Clinton and Donald Trump and exchanged notes critical of the president. In a letter to congressional leaders, Inspector General Michael Horowitz said his office "succeeded in using forensic tools" to recover messages between senior FBI agent Peter Strzok and FBI lawyer Lisa Page during a key five-month period ending the day special counsel Robert Mueller was appointed to investigate possible coordination between the Kremlin and Trump's campaign. The missing messages have sparked a political firestorm in recent days, as GOP leaders and the president himself have raised questions about how the FBI could have failed to retain them. Horowitz's letter did not indicate how many messages were recovered and said his effort to locate more was "ongoing." He said he would provide copies to the Justice Department and would have no objection if leaders there turned them over to Congress if they felt it was appropriate. The letter was sent to Sen. Charles Grassley, R-Iowa, chair of the Senate Judiciary Committee, and Sen. Ron Johnson, R-Wis., chair of the Homeland Security Committee. 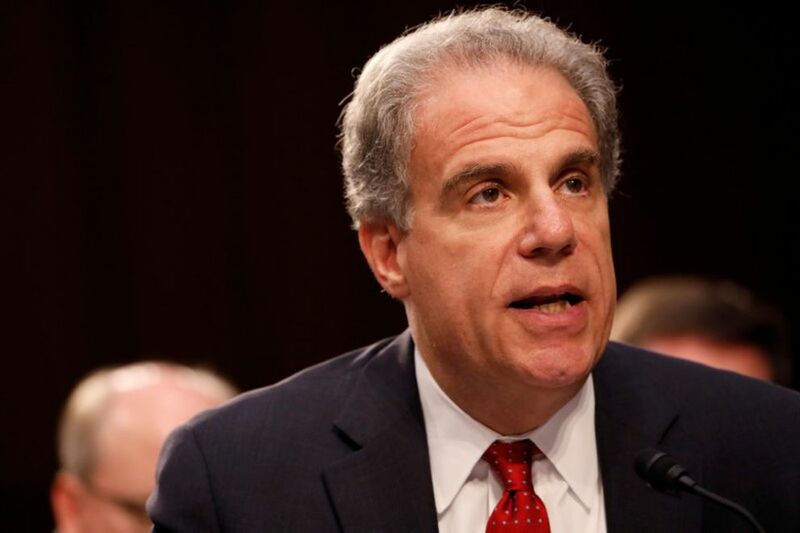 Horowitz has been investigating Strzok's and Page's conduct as part of his office's investigation into the handling of the probe into Hillary Clinton's use of a private email server when she was secretary of state. Both Page and Strzok worked on the Clinton case and the probe, led by Mueller, into whether agents of Russia may have coordinated with Trump associates to try to meddle with the 2016 presidential election. The Washington Post reported in December that Strzok was removed from the Trump probe back in July after internal investigators discovered he and Page, who were romantically involved, exchanged anti-Trump, pro-Clinton texts during investigations of both political figures. Page had left the Mueller team two weeks before Strzok for what officials said were unrelated reasons. In recent weeks, the Justice Department has provided Congress with hundreds of pages of their messages, and Republicans said the texts revealed political bias at the bureau's highest levels. Democrats have accused Republicans of seizing on the issue in an effort to derail or delegitimize the Russia investigation – accusing conservatives of trying to discredit the FBI as they seek to protect the president. Congress was notified last week that the FBI could not find five months' worth of texts between the two officials – which Trump and others met with skepticism. "That's a lot of missing texts, and as I said yesterday, that's prime time," Trump said Wednesday. "So, you do sort of look at that and say, 'What's going on?' "
The last day of missing texts, May 17, coincided with Deputy Attorney General Rod Rosenstein's decision to appoint Mueller as special counsel overseeing the Russian investigation. Much occurred during the months leading up to that day. Then-FBI Director James Comey met repeatedly with President Donald Trump, the Russia probe intensified and began to focus on former national security adviser Michael Flynn and, in early May, Trump fired Comey. The FBI had told the Justice Department that "many FBI-provided Samsung 5 mobile devices did not capture or store text messages due to misconfiguration issues related to rollouts, provisioning and software upgrades that conflicted with the FBI's collection capabilities," a Justice Department official told lawmakers in a letter earlier this month. As a result, it says, "data that should have been automatically collected and retained for long-term storage and retrieval was not collected." A Justice Department official told The Washington Post on Wednesday that the FBI failed to save text messages sent from thousands of cellphones.